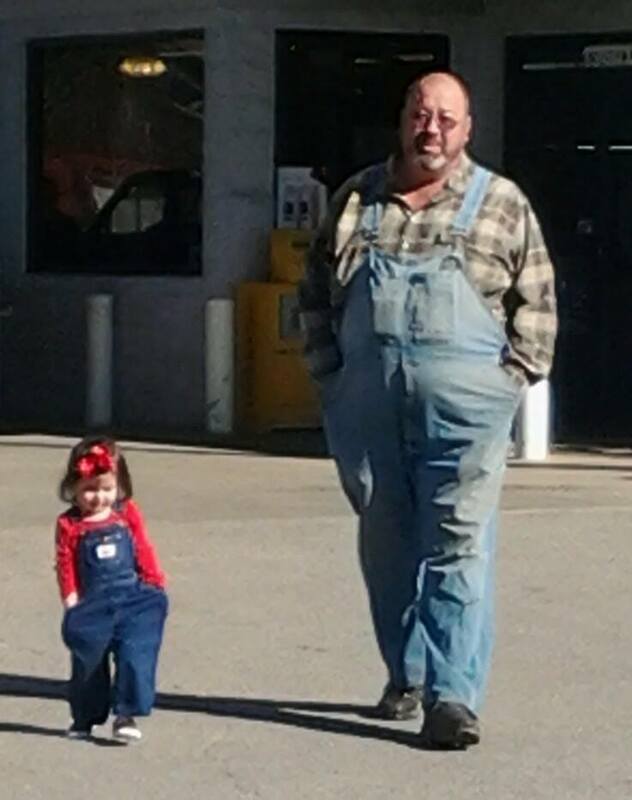 Four years ago, vegetable farmer Chuck McCool of Rover, Arkansas read an article in his local newspaper about a nearby school that had received a local grant to incorporate fresh fruits and vegetables into their meal programs. Over the next few days, he read about three more schools in his area receiving similar grants, which, McCool realized, meant that approximately one-million dollars allocated for fresh produce was up for grabs. He acted fast, recognizing an incredible business opportunity. But he didn’t yet know that this would become so much more than just a boost to his bottom line; it would change his business strategy, his perspective on farming, and his community. McCool’s farm has been family owned and operated since 1850. Previous a cattle and horse farm, McCool switched to growing exclusively vegetables about 20 years ago. He had solid sales during peak harvest in the summer months but noticed a sharp drop off when school started in fall as parents got busy and farm-fresh cooking took a back seat. So naturally, when McCool heard about the grant funds, the possibility of selling his crops to schools made financial sense. He did a lot of asking around and eventually met with folks at the Arkansas Children’s Hospital, the administrator of the state’s Farm to School program, to learn more about how to get involved. After learning how simple it was to sell to schools, McCool went back to his farm and began harvesting vegetables and talking to schools within the next few days. But the benefits of participating in Farm to School, McCool says, go far beyond the money: “Most kids have no idea where crops come from. They just think they come from the store.” Farm to School programs allow him to teach kids about farming and where their food comes from. 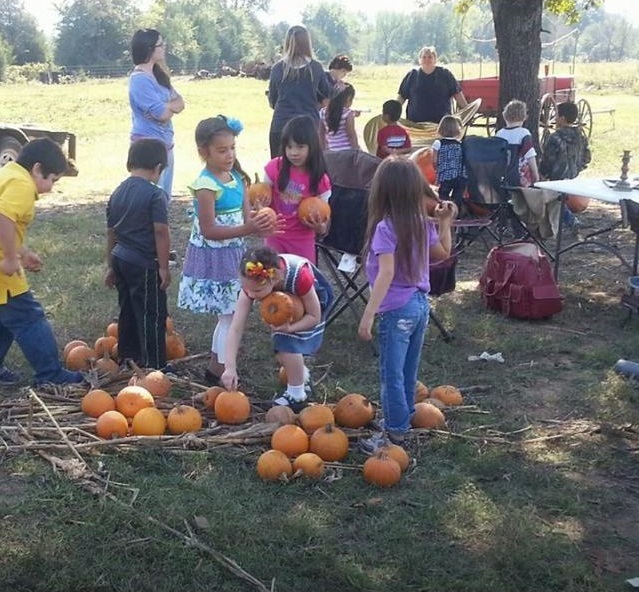 McCool has a pumpkin patch and invites schools to bring students there on field trips. He teaches them how pumpkins grow – showing them the pollen, teaching them difference between male and female pumpkin blooms, and cutting the stems to reveal that they form a star. He even invites students to do agricultural science experiments. One teen girl, for example, tracked the drift of fertilizer from the fertilized side of a corn field to the unfertilized side, researching the patterns over time. These hands-on opportunities get kids excited about agriculture, inspiring the next generation of farmers. McCool and other farmers participating in Farm to School in his area efforts receive a lot of support from their community from media coverage to school billboards to official proclamations. And for good reason: Their efforts help ensure kids have access to fresh fruits and vegetables while putting money back into the local economy. As a result, Farm to School’s impact in Arkansas continues to grow. Using a USDA specialty crop grant, the community now has plastic mulch equipment available to farmers in the area. McCool also worked with local schools to get grant funds to develop ways to process crops during peak harvest so they can be available during the school year, a project that is being piloted at a handful of schools in the area. Similar growth in Farm to School programs is occurring nationwide. Recent data released by USDA shows that over schools spend half a billion dollars a year on local foods including fruit, vegetables, meat, dairy, and more. More than 42,000 schools nationwide are taking part, but as McCool says, “We just need more farmers.” USDA’s Farm to School website provides additional resources for those who want to get involved, including information on federal and state school food purchasing guidelines and farm to school grants available to both schools and agricultural producers. There is also a list of state contacts who can help farmers, ranchers, fishermen, and food processors of all sizes – from a single-acre farm to a multi-component operation – get their goods into local schools.